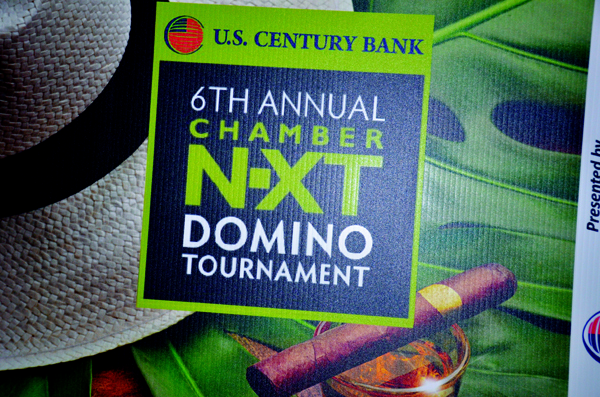 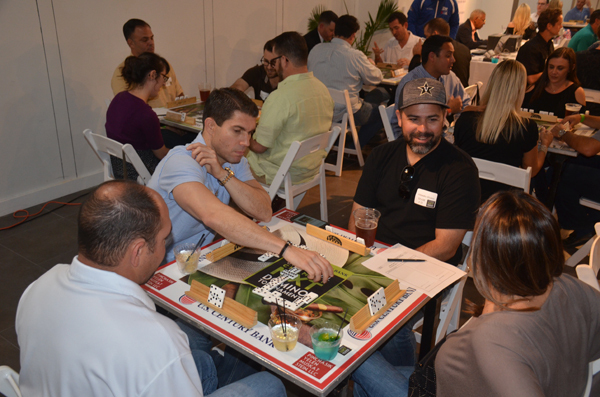 The 6th Annual Chamber N-XT Domino Tournament is the signature fundraising event for Chamber South’s young professionals committee, Chamber N-XT. 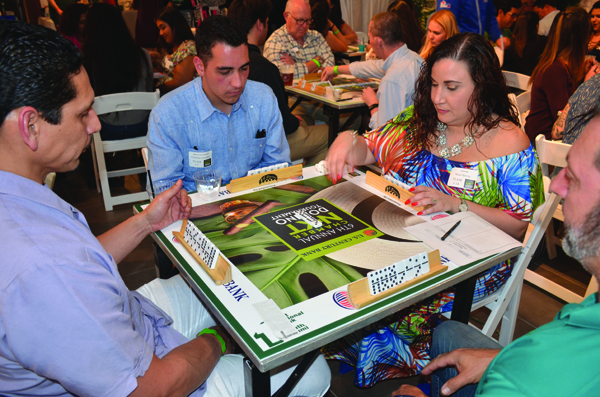 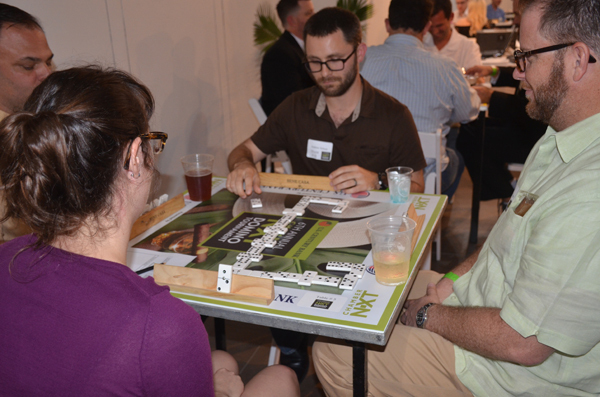 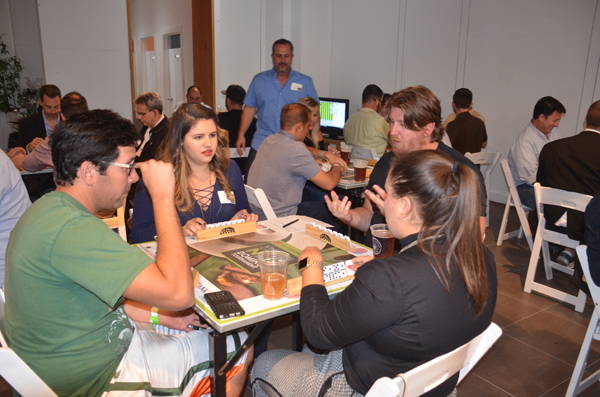 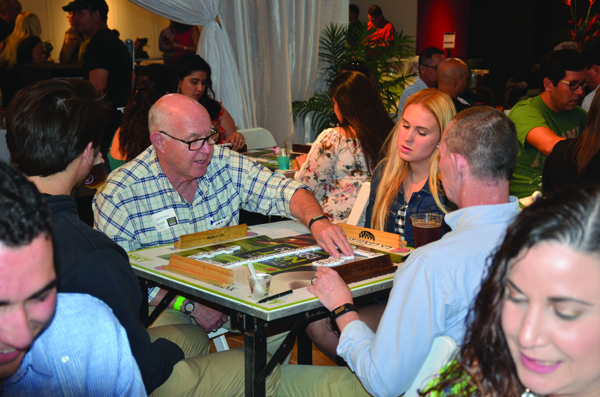 It was open to the public, a large crowd joined ChamberSOUTH for a night of food, drinks, raffles, cigars, and dominos! 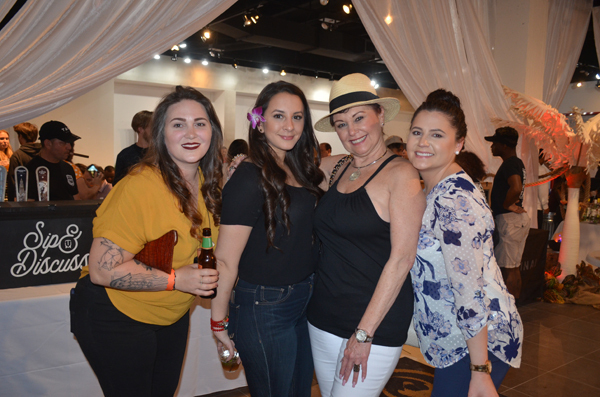 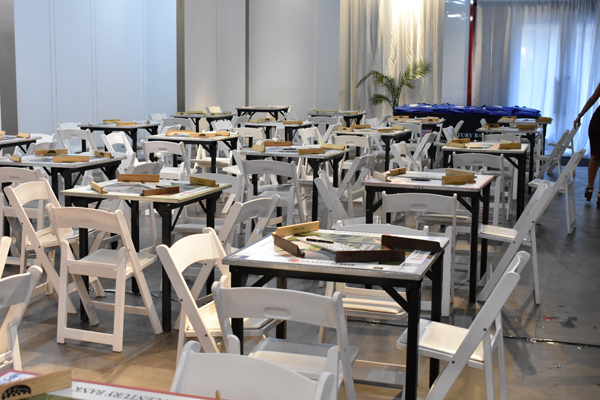 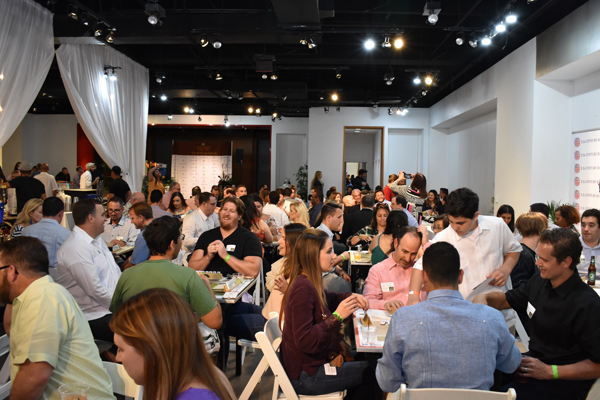 This year took place in a beautiful event space in the heart of South Miami, in the Shops at Sunset Place, with the theme being “Havana Nights”. 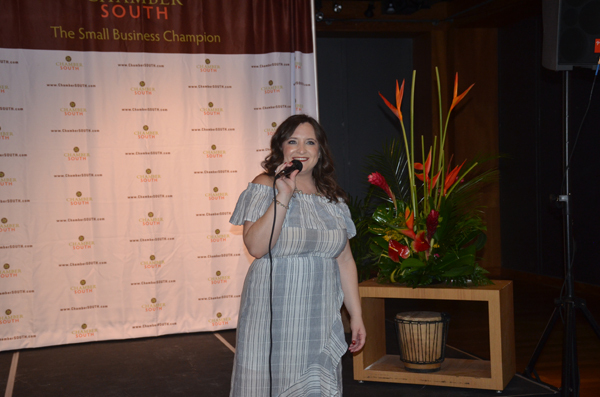 The room was decorated in stunning drapery, with beautiful florals provided by Petal Cartel. 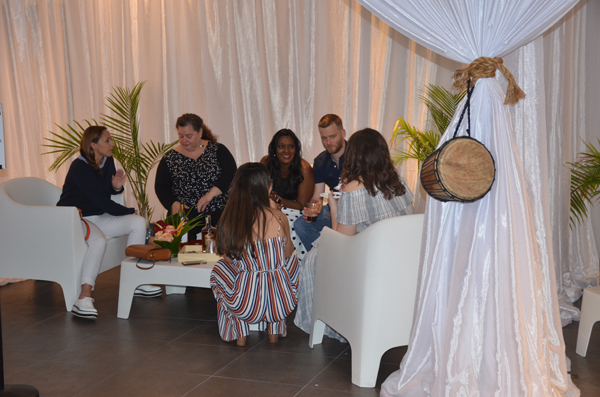 All white cabanas were built by Diamonette Party Rentals and Norma’s Touch Décor. 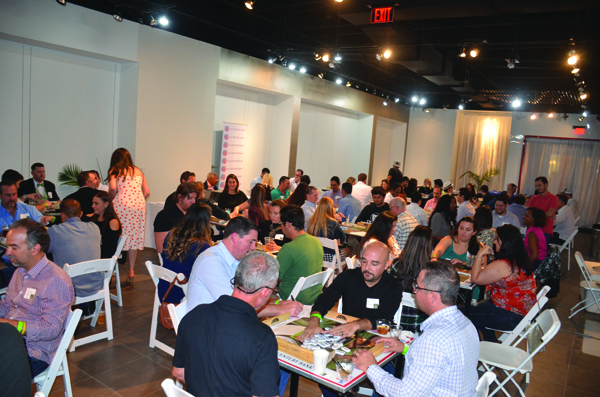 The event was the biggest the organization had ever seen, with over 200 people in attendance. 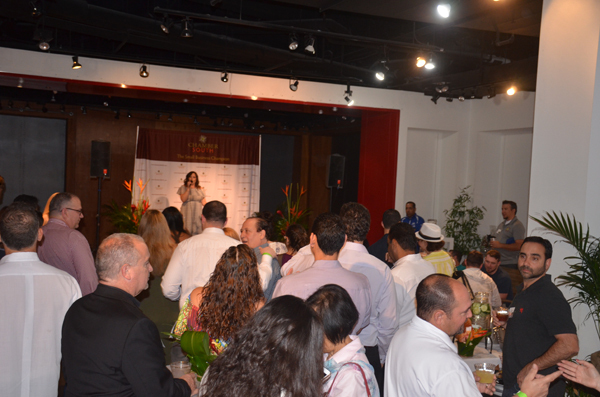 It was all possible with the help of the chamber staff and generous sponsors! 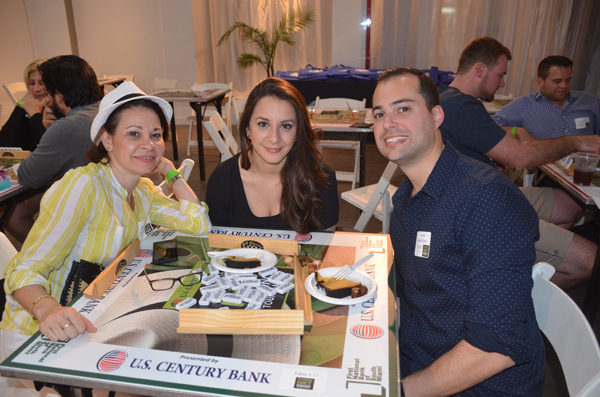 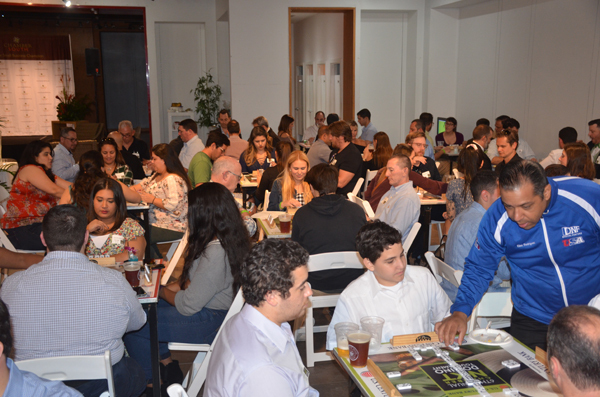 US Century Bank was the title sponsor for the entire event, they were followed by Buffalo Wild Wings, NAI Miami, First National Bank of South Miami, Pinchasik Yelen Muskat Stein, South East Physician Associates, Farrell Patel Jomaron & Lopez and MPS Credit Union. 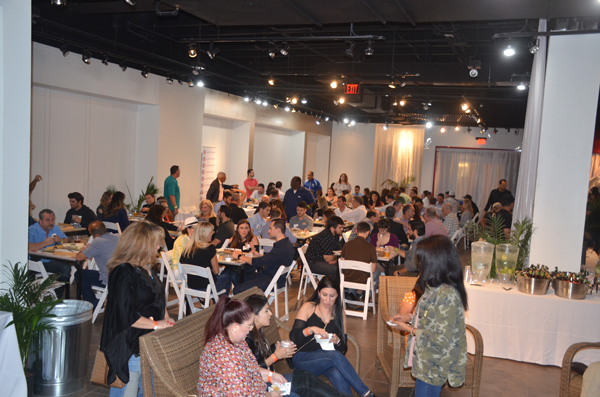 Craft cocktails were provided by Blue Martini, while rum was generously donated by sponsor realtor Paulo Simonetti of One Premier International Realty and The Tank Brewery along with Concrete Beach Brewery provided ice cold brews for attendees. 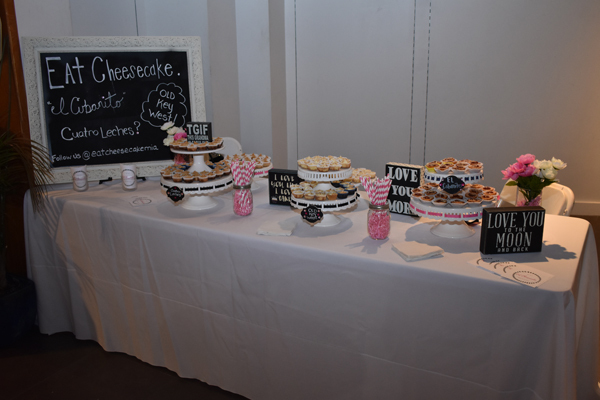 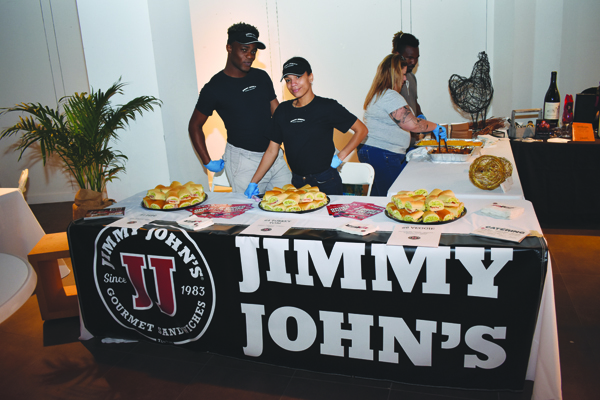 Whisk Gourmet, Shula’s 347, Jimmy Johns and Catering by Les provided delicious bites. 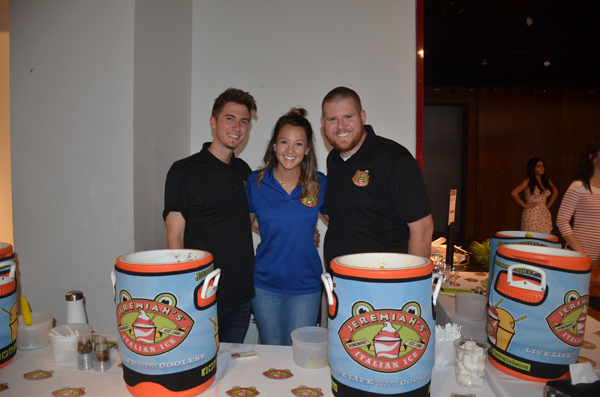 Jeremiahs Italian Ice, Mr. Kream Wynwood and Eat Cheesecake provided sweet treats. 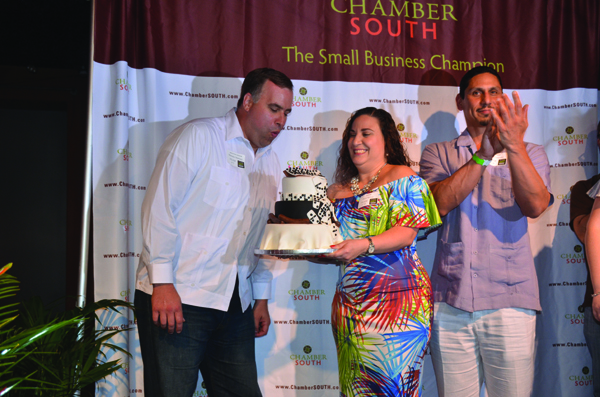 A gorgeous domino cake as provided by Moni’s Sweet’s it is safe to say ChamberSOUTH’s attendees were well served! 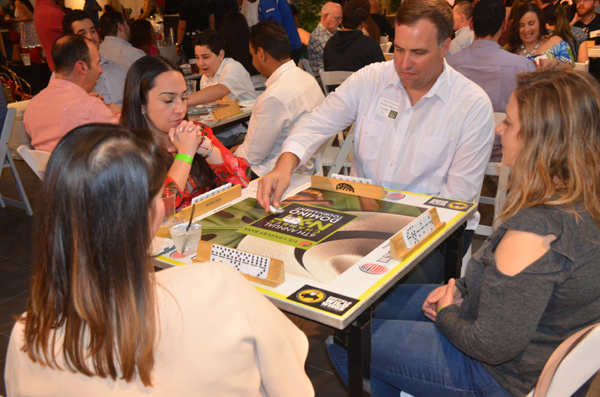 The Chamber was able to raise money for a good cause, with a portion of the proceeds benefitting Chapman Partnership, a not for profit organization with the mission to provide comprehensive services to empower homeless residents to become self-sufficient. 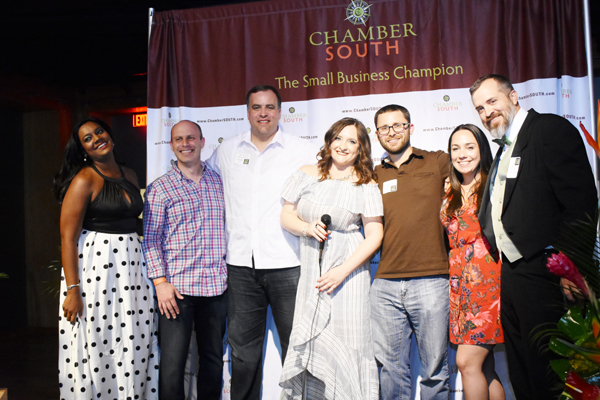 If you want to find out more about the organization visit champmanpartnership.org, and if you wish to find out more information about ChamberSOUTH and any of the sponsors, head over to @ChamberSOUTH on any social media outlet, or go to chambersouth.com. 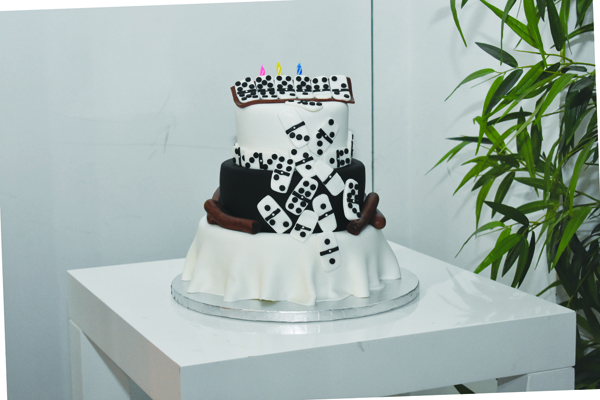 Wishing Mariano Martinez a happy birthday. 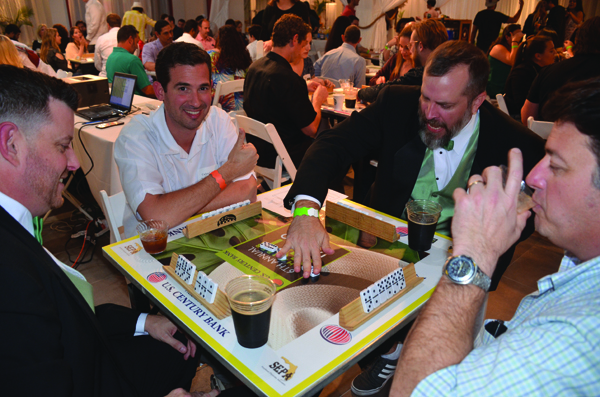 Chamber Chair Ken Kistner at play. 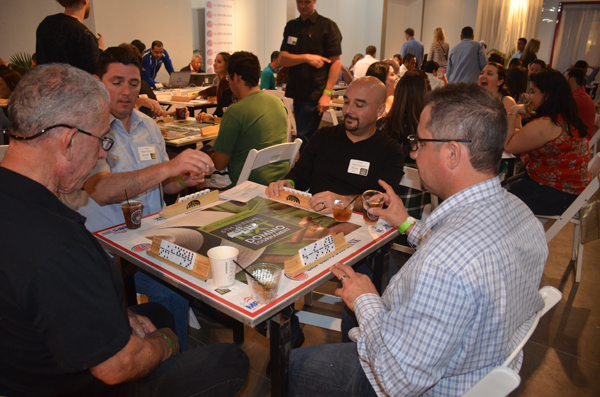 “Diamond Joe” runs the table. 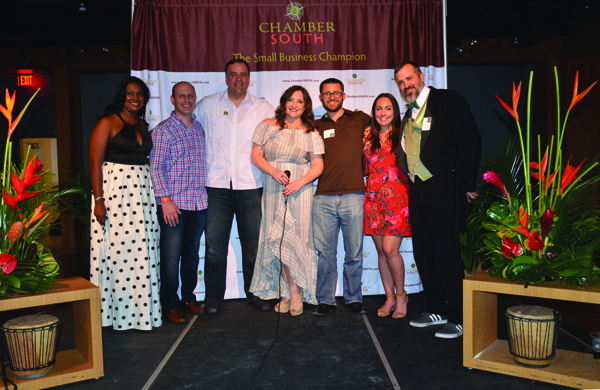 The Chamber NX-T executive committee.